An order usually begins with emails of the requirement. These requirement ranges from materials, colors, quantity, tube height, weight, etc. pictures are also required to make sure that the sample and mass manufacturing is accepted by customers. Based on the specific description, it could either be designed by our technicians or even the customers themselves. Pattern coding is actually the first step of operation; it literally means the change of vector designs to bitmaps. The machine can’t process the vector designs directly, so this change is essential. There should be experts and coding teams that have basic understanding on the design models and the machine on standby around the factory to handle the operation. A single thread represents each pixel of bitmap designs. Different width of flat bitmap design, leads to the utilization of different needles in knitting machines. Pixels width like; 96, 144, 168, 200, is usually equivalent to the needle of 96N, 144N, 168N, 200N in that order. All then indexes are now inputted into the computer knitting machine. However, companies that concentrates on chain production may have to issues with pattern coding. Therefore, it’s better to outsource the operation to some relative factories. 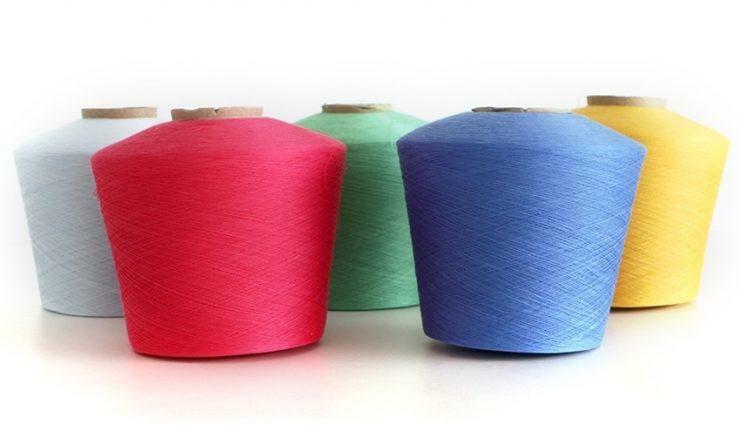 The second step is preparing the threads; this procedure is carried out after the coding of patterns is settled. Usually, the socks thread is bought based on the differences in specification from various orders. However, there are two things that should be handled carefully; composition and color. When dealing with color and composition, there are useful tips to be considered in case errors or mismatch happens during mass production. Its best for customers to go through the Pantone color card to pick their desired colors before placing the order. If given a precise reference, it would be quite simple to select the right color for the clients. The structure of the thread is one other vital aspect that needs abortive handling as the material for the final production are involved. However, there are different prices for different structures, just like the differing conveniences and experiences. These materials are discussed in the last post. If you take a quick look at them, you will have a relatively better understanding that would assist you. Production usually works using the two procedures above. Particularly, the specially-programmed code in the first procedure would offer multiple needs the ability to wave the scattered threads into a chain of interlocked loops. This is usually followed with a programmed sock weaving machine, operating at an intense speed for customizations. However, the machine just needs to be set once before all operations. Also, some errors to the trimming, length and interlocking could occur frequently. Therefore, you should run a post-inspection as well as timely-inline inspection to avoid these errors. The next step is the linking and sewing. This step deals with the toe section of the socks, because the knitting machine can’t produce this. Therefore, the proper connection is important. Right now, these sections could be connected through machine linking or manual sewing and these two methods have their different advantages and disadvantages as well. The manual sewing is more refined than the machine linking, though the later is easier and faster. After the production processes, the socks is kept in its proper shape through boarding. This makes it easier to be packed and paired. This is done by application of steaming of a particular pressure and temperature, keeping the socks soft and elastic. However, the temperature gets out of hand sometimes, and this damages some of the socks. The damaged socks is then sorted out by operates, in order to deliver good quality products. Before this socks are labeled and have logos, its processed by easily and mechanically paired and arranged. With various clients descriptions, the labels could be designed by the company or could be done by the clients themselves. The clients usually request for logos, as this an adequate method of advertising your brand. The jacquard and embroidery most times depends on the clients budget and it has several designs to pick from. Packaging and delivery is the final procedure for your order. Clients usually need a particular type of packaging depending on their budget and target markets. There are options available according to the client’s requirements, like box, OPP bags, elastic bags, etc. the client’s plans are the only thing that could develop issues during delivery. We could sort out various deliveries depending on the cost and also time. Related article: How to Choose the Best Way to Ship Socks from China? Please, you are free to contact us via Email on jack@yhaosocks.com if you have any question or show interest concerning socks or glove production. Thank you for your time.